You are here: Home » Parenting & Prenatal » Is it normal to not feel the “magic moment” when I became a parent? Before your child was born you were probably told the old cliché that when you first hold them you will be overwhelmed with a new, magic kind of love. The person imparting this wisdom to you may have even had a twinkle in their eye as you imagined the fireworks-level love they described. Presumably, if you’re reading this, that didn’t happen, and you’re wondering why. You may even feel like you’re an uncaring monster. You’re not. Lots of people share your experience . That’s because the parent-child bond isn’t “magic,” it’s work. It’s time. 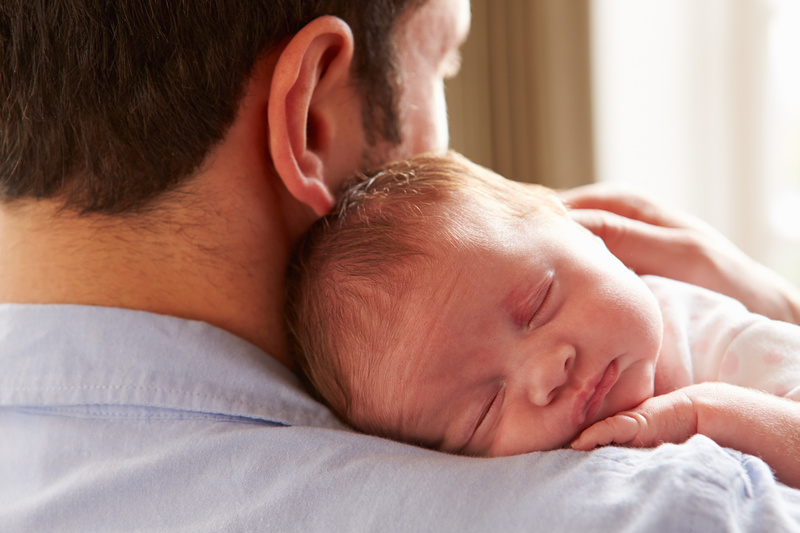 If you’re a dad, add to that that research shows it may take you longer to bond with baby than mom. This can be due to a variety of factors like: lack of paternity leave, dads bonding to baby differently than mom, or post-partum depression (which men do get). For moms, it’s the same stuff. Parents need time with baby to build that relationship and bond that will – for better or worse – be one of the most important bonds each will have. So, deep breath and relax: most parents report feelings of love and bonding with their babies within three months. Of course, it could also be depression. Depression isn’t just suicidal thoughts, it can affect your life in many different ways. Consider taking a survey on depression and speaking to a professional about your feelings and survey results. In fact, talk about the feelings you’re having right now with a friend or loved one. It’s okay to ask for support as a new parent. If you need help finding resources or have more questions, you can call the Healthy Gallatin Home Visiting Program at 406 582-3100.